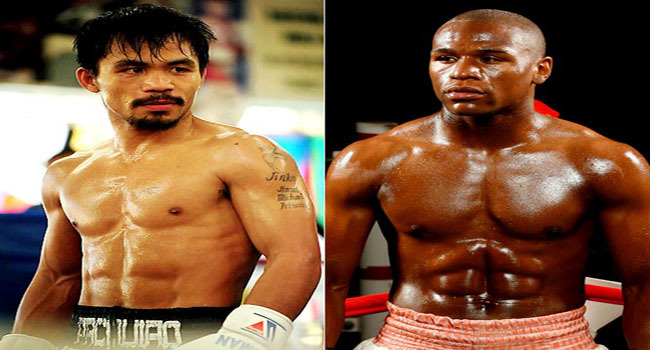 Is unbeaten Floyd Mayweather Jr finally headed for a showdown with Manny Pacquiao? It’s been a few weeks since I gave you my patented bevy of random bullets from the sports world so without further ado let’s get on with it. -While it appears that we are a step closer to the long awaited match between Manny Pacquiao and Floyd Mayweather, Jr, I still can’t help but wonder what might have been. Five years ago this could have been a bout that could have saved boxing but instead, arguments over money continue to hamper a once-proud sport. Ya, this will draw money if it happens but it will be a shadow of what it could have been. -The Dallas Cowboys are 10-4 and have a game advantage on the Philadelphia Eagles. Sunday night though star running back DeMarco Murray suffered a broken hand that led to surgery on Monday. The question is, should they rest Murray or play him with a playoff spot still not yet sealed? If it’s me, I rest him. You have more than enough talent to get a win over Indy or Washington without him. -For all of the things that the National Basketball Association has going right for it, once thing that needs to be addressed is tanking. There is no way the Philadelphia 76ers haven’t been built for total futility this season. This isn’t to say the current players aren’t trying but this team could have been better and it isn’t. I just don't think Jim Harbaugh will pass up the huge payday awaiting him in the NFL. -I have a feeling Michigan fans are in for really bad news. Despite rumors yesterday that with Jim Harbaugh out of the playoffs he’d be coming to Ann Arbor, I’m not buying it. His services will never be more in demand by NFL teams than they are now and that means a pretty price tag. I just don’t see him giving that up to return to college coaching. -Yankees’ General Manager Brian Cashman says that as of right now Alex Rodriguez will be penciled in as the team’s designated hitter. A-Rod is of course coming off his year-long suspension. -There were two plays in the NFL on Sunday that epitomized just how pathetic the league has gotten in their protection of quarterbacks. In Seattle, a 49ers players unloaded on Russell Wilson as he let the ball go. The tackler put his helmet right in the chest of Wilson and was flagged. This was nothing however compared to the Steelers’ Jason Worilds who sacked Atlanta’s Matt Ryan with what can only be described as a “perfect form tackle.” Ryan should have been flagged for not seeing Worilds coming to his play-side in my opinion. -Watching Army-Navy never gets old. It isn’t just the tradition and the rivalry either. If you’ve been around long enough, then you know how exciting option football can be. -I had a lot of people laughing at me for picking the Bills to beat the Packers last weekend but I could just see it coming. The Packers and Aaron Rodgers had been so hot, especially at home and with Buffalo’s very strong defense I just thought it was a perfect storm. A blind squirrel finds a nut once in awhile right? -Michigan State Junior Quarterback Connor Cook Stated yesterday that he will be returning to East Lansing for his senior season. Cook has been considered one of the top junior QBs in the country since his rise last season in leading the Spartans to the Rose Bowl. In my opinion, I think this is the right move for him. -I’m old enough to know that everyone has different tastes and likes and dislikes but I don’t know how anyone can watch ESPN’s First Take. Stephen A. Smith and Skip Bayless are like nails on a chalkboard to me. Floyd Mayweather looks to extend his record to 46-0 tonight. This is the time of year on the calendar when all four major professional sports are fighting for space on the sports’ page of your local fish wrap. The National Hockey League and National Basketball Association are in the midst of the playoffs while Major League Baseball now has a month under its’ belt. Even the National Football League has found a way to stay relevant by moving its’ annual college player selection to the second weekend in May as opposed to the third or fourth weekend in April. A move decried by many, it has been yet another stroke of genius by the one league that can’t seem to do anything wrong despite one issue after another. The four major team sports aren’t the only games in town right not however because there are other activities set to gear up later today. Late this evening, 37-year old Floyd Mayweather, Jr will step into the ring for a re-unification bout against Marcos Maidana. Mayweather will earn about $32 million this evening win or lose with most expecting him to do the former. A win will take his record to 46-0 and questions will continue about how much longer he really wants to keep doing this. Maidana enters with a record of 35-3 and of those wins, 31 are by knockout. The Argentinian is probably less of a boxer and more of a brawler which should work to Mayweather’s advantage. The Grand Rapids, Michigan native has always relied on tremendous speed and technique in out-dueling opponents. Mayweather has faced many boxers who possess a bigger punch but none has been successful in catching him just right which is really what Maidana will have to do. 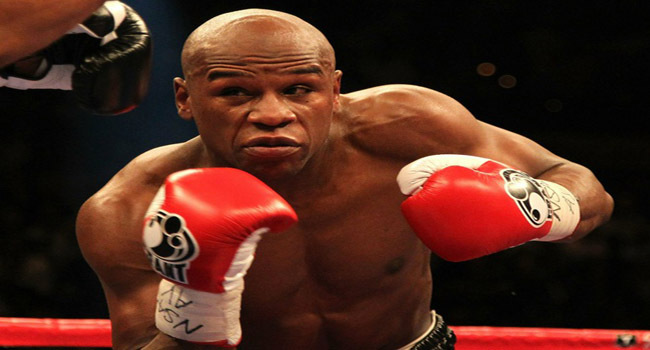 Mayweather enters as a significant favorite and with good reason. I expect him to wear down Maidana and walk out with a unanimous decision. Also on the Saturday Smorgasbord is the 140th running of the Kentucky Derby. Often called the “fastest two minutes in sports,” the Derby seems to have sneaked its’ way into our minds this year. California Chrome enters the 140th Kentucky Derby as a heavy favorite. At the current time, 19 horses are vying for the roses and California Chrome appears to be an overwhelming favorite coming in. This West Coast horse won the Santa Anita Derby about a month ago without really even trying. It was his fourth straight win and in all four of those victories his challenges have been few. Currently listed at 5/2, Chrome is almost too good to be true. He’s been quite dominant yet so far this week has looked uncomfortable on the track at Churchill Downs. That isn’t necessarily uncommon but his handlers would much rather prefer he was feeling better on the track. At 8/1, Wicked Strong is Chrome’s nearest competitor. The aptly named thoroughbred from the Boston, Massachusetts area has won just two of his six starts but looked good in his most recent race. If you are looking for an interesting pick, look no further than Intense Holiday or Ride On Curlin. Each is currently listed at 15/1 but both have solid experience on board. 2010 Winner John Valazquez takes the mount for Intense Holiday while three-time champion Calvin Borel has the reins for Ride On Curlin. Whatever the outcome today in the Run for the Roses, let’s hope that we have a horse that we can pay attention to throughout the month. There are very few things as exciting as a horse with a chance to win the Triple Crown and we could use a little does of that right now. We’ve reached about the best day in sports that you could possibly ask for in a given week, as this Saturday especially brings in the first full weekend packed with NCAA Basketball, to combine with the usual flow of NCAA and NFL Football, NHL Hockey, NASCAR Racing, and the usual options for wagering on MMA fighting and boxing. However, with the unprecedented UFC on Fox getting set to take place tonight featuring a main event with a heavyweight title on the line, and exciting boxing action with Manny Pacquiao getting geared up to face his third fight against Juan Manuel Marquez this evening, the usual dosage of online sportsbook betting becomes all the more intriguing and filled with great options that just about any type of sports fan can get behind. Getting up early and wagering at one of the best online sportsbooks reviewed here for Saturday’s exciting action in College Sports, I’ll be the first to admit the excitement built up in anticipation to wager on today’s top sportsbook options, after a solid Friday wagering on the first fully day of games in NCAA Basketball. There’s never a better time to catch all the best that online sportsbook betting has to offer than right now, as so many sports leagues are in competition, and so many choices are open to give you a wide range of games to pick and choose from, both to watch and wager on. With that in mind for sportsbook bets today , I’m headed back over to the Intertops Sportsbook at Intertops.eu, which remains one of the longest-standing online sportsbooks, filled with every wagering option you could possibly wish for, and a good track record of being a reliable place to place you wagers. In a field of sketchy websites, count on a long-standing reputation at Intertops sportsbook as one of the best in the business, and wager with confidence today at Intertops.eu. For opening wagers today, check out the online sports betting options for NCAA College Football as we move into the brunt of Week 11 action in a quickly passing season. Up for top wagers today is the Top 10 match-up in the Pac-12 between the #7 Oregon Ducks and the #4 Stanford Cardinal, in what should be the showcase match-up of the day for NCAA Football betting. Another big Top 25 match-up that we’re certain is high on everyone’s radar is the #19 Nebraska Cornhuskers vs. #12 Penn State Nittany Lions game, in the first game that now-former Penn State head coach Joe Paterno won’t be on the sidelines or in the coaches box in 61 years. Amidst the ongoing scandal at Penn State, no doubt there will be plenty of emotion filling Beaver Stadium, and an atmosphere you won’t want to pass up getting a piece of. Moving on to more interesting Top 25 NCAA games to get involved in, the great rivalry between #24 Auburn and #14 Georgia heats back up today in a critical SEC contest, with the Bulldogs shaking off a couple tough seasons and now on the brink of winning their 8th straight game in a row. Georgia can clinch the SEC East tonight with a win and a South Carolina loss (the Gamecocks host Florida as well, but should pull away with a win at home), so expect this game to have plenty of meaning for both these storied programs. Make sure to peruse all your online sports betting options for NCAA Football at Intertops.eu or any one of the top sports betting websites found here, with even more action including #14 Kansas State hosting Texas Tech, a tough road game for #17 Michigan State at Iowa, #23 Cincinnati looking to hold off West Virginia, and #22 Michigan seeking to avoid an upset in a good match-up against Illinois. With a solid offering of NCAA Basketball on the line today with 54 games in play, as well as 11 NHL Hockey contests to fill up the top sports betting site at Intertops.eu, you’ll find plenty more options for betting on sports on Saturday, as part of one of the best days of the week in sports. Check out the wagers offered across NCAA College Sports first and foremost, but make absolutely sure to do some reading up and research on tonight’s UFC on FOX featuring heavyweight champion Cain Velasquez and challenger Junior Dos Santos, which is the first prime-time nationally televised Ultimate Fighting Championship showdown in history, and one with plenty on the line with the heavyweight title at stake between these two contenders. Boxing will need to take note of the UFC’s direction here, which is a great push to get fighting competitions back into the public eye (ala ABC’s now-defunct Wide World of Sports), but you can also get into great wagering action on tonight’s Pacquiao vs. Marquez III, bound to be another classic bout between two great fighters, even if you have to pay to witness it live. You no doubt will be entertained all weekend long, as the action only gets better tomorrow, with great NFL football action to wager on at the top sportsbooks reviewed and featured for you here. The only thing you have to worry about is how to cram all that action in at the same time! Whatever you do, have a great time doing it, and get your sportsbook wagers placed, as you won’t want to miss out on this weekend’s sporting action. Until tomorrow, thanks for stopping by and checking out the great online sportsbooks and casinos offered at CasinoReview.org. After an exciting conclusion to the late NCAA and NFL football games playing out last night, Friday’s online sports betting options continue in the same exciting trend, with the full opening of the NCAA Men’s Basketball season, chalk full of 131 games on tap for betting on sports at one of the top sportsbooks reviewed here. Complete with betting options for this weekend’s upcoming NCAA and NFL Football action, as well as one of the biggest cable offerings for the Ultimate Fighting Championship ever seen, today is a rare Friday stuffed with tons of sports action and so many online sports betting choices that we simply don’t know where to begin. Adding in an additional slew of games in NHL Hockey tonight with 7 contests in play along with NHL games in store for this evening, it’s without a doubt one of the best days of the year for getting into the sports betting action, and setting up some wagers either for today’s competition, the games taking place tomorrow, or even a bit of both. Getting stoked for another great sports season to hit the online sportsbook betting scene, we’ll focus on some of the top games for College Hoops today, and add in some wagers on tonight’s games, along with the upcoming action in Week 11 of College Football. For betting on sports today, we’re visiting one of the finest and best online sportsbooks in the business, at the Bodog Sportsbook. With a well-established history of being a solid, safe and secure way to wager online, as well as getting plenty of backing from major sports portals such as ESPN (which host Bodog.eu odds on many of the world’s games each day), count on the Bodog sportsbook to be one of the best ways to get into the exciting world of online sports betting in just a few simple clicks! Dropping into the sea of wagering options for NCAA College Basketball today, as expected there are plenty of lopsided picks to be made, perfect for lumping into a couple of parlay wagers. With most of the Top 25 at home facing serious underdogs, most of the action lies with the point spread, as few sportsbooks will be taking bets on the money line or total points today for games with big-name teams involved, if taking any wagers at all. However, without a doubt the biggest game of the evening features the #1 North Carolina Tar Heels against the Michigan State Spartans in the 2011 Carrier Classic, which as you might or might not have guessed…takes place on the flight deck of an aircraft carrier! To be honest, I really don’t know if a sports setting gets much cooler, or more unique than this, folks. Therefore, we’ll have to drop a wager on the heavy favorite Tar Heels to emerge victorious by a wide margin in our featured NCAA Basketball match-up for Friday, and move onward with a few other picks on Top 25 teams in action to round out the wagering on basketball today. Catch big name teams like #2 Kentucky, #3 Ohio State, #4 UConn and #6 Duke all on the court tonight, and despite heavy favorites for all these teams, blowout games for online sports betting on NCAA Hoops can always be a fun and profitable experience, especially when hedging wagers on top teams that are returning many key players. With so much on tap in NCAA Hoops, regardless of whether there is little data to go on for betting on basketball, tonight’s match-ups will be a fun introduction to the wild and crazy world for NCAA basketball this season. With the last wagering options for Friday resting with NHL Hockey, check into the seven games posted at the Bodog sportsbook, and look for a couple of key match-ups worth placing a wager on today. I continue to ride the Buffalo Sabres after their recent 3-game winning streak, as they host the Ottawa Senators tonight and will also turn to the Dallas Stars on the road vs. the Pittsburgh Penguins, in what will be an exciting match-up between the league’s top two teams by points. Also in play tonight are the red-hot New York Rangers, who have stormed out of a slow start to win 5 straight games, and look very good to pick up a 6th win in a row at home tonight against the visiting Carolina Hurricanes, who are struggling on 3 straight losses and are ranking close to last in the league in opponents’ scoring. Aside from this great hockey action tonight, don’t forget to draw your line in the sports betting sand for the huge UFC on FOX showdown set for tomorrow, with Cain Velasquez defending his heavyweight title against Junior Dos Santos in the main event on one of the biggest UFC nights in history. The network TV debut on Saturday, November 12th will be a sports spectacle well worth watching, and no doubt you’ll want to catch some early lines on the fights lined up, as you’ll be able to actually watch the action on live TV without throwing down rent money to do so! Add in another big fight in boxing for Saturday with Manny Pacquiao vs. Juan Manuel Marquez for the third bout between the two exciting fighters, and MMA/Boxing fans should be elated to have two of the best offerings of the year taking place on the same weekend. With tons of options for online sports betting tonight at Bodog sportsbook, check out all your choices, make sure to pull in as much research on the match-ups, and place your bets for the exciting games starting later tonight. Until next time, have a great weekend, thanks for stopping by for reviews and updates on the best sports betting sites on the web, and we hope to see you again soon! Wednesday is a great day for fans of online sportsbook betting, as at the midway point in the week we start to see a great line-up of sporting events over the next few days, with action taking place ranging from NCAA Basketball and Football, NFL Football on Thursday night, and other options including NHL Hockey, Pro Boxing, UFC fights and much more. With a bit of excitement I’m pleased to note as well that the NCAA Basketball schedule resumes today with more action in the 2K Sports Coaches vs. Cancer annual Classic for start of the season NCAA Basketball betting. Also in play this evening, NHL Hockey features three games on ice later tonight, with a number of good match-ups worth a wager or two at one of the best online sportsbooks reviewed here. With one match-up in College Football tonight as well, and with NFL football opening up its Thursday edition this week with a solid match-up between the Oakland Raiders and San Diego Chargers, Football is knocking at the door prior to the weekend, tempting sportsbook bettors to pony up for a few quick wagers before the full action of NCAA College Football Saturday, and NFL Sunday commences in the days to come. Without further adieu, to get the wagers for today cracking we’ll turn to the top online sports betting site at Intertops.eu, one of my all-time favorite places to wager at, with a great track record of favorable betting lines, solid support, and prompt payments. To get the day started off right with wagers on the top betting action scheduled for Wednesday, we’ll tune in first to the four games on tap for NCAA Basketball this evening, looking for a couple good bets on the best teams in action tonight. 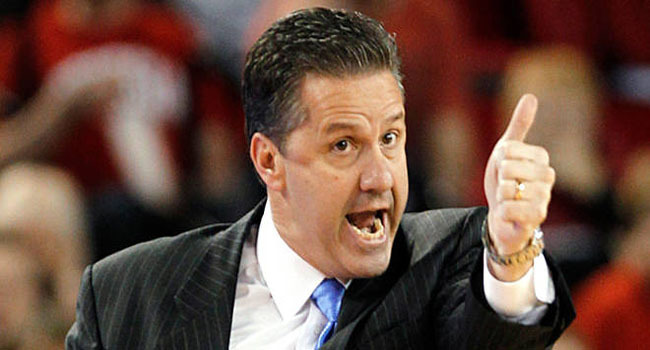 The 2K Coaches vs. Cancer Classic gets the 2011-12 NCAA Basketball season going, with a couple of huge mismatches already in store for Day 2 of the tournament that could make for solid online sports betting opportunities at Intertops Sportsbook today. While not much in the way of exciting action to watch, there is some pretty easy money to be made combining a few of the top teams in parlay, and waiting to see what happens. I can’t resist a new season of sports, so I’ll parlay the four games for NCAA Basketball today, as #16 Arizona takes on Duquesne, #19 Texas A&M hosts Liberty, and St. John’s is also on the radar against Lehigh. Starting first with our featured NCAA Basketball game of the night, the Arizona Wildcats look to improve off a shaky victory over Valparaiso on Monday night, hosting the Duquesne Dukes tonight against at home in Tuscon and getting a 9 point favorite at Intertops Sportsbook. Though packed with freshmen and missing their top two scorers from last season, the fact that Arizona led by 20 in Monday’s game and looks to improve on a second half performance where they blew 11 points off their lead to win 73-64 should bode well for the ‘Cats to cover the spread against a Dukes team in rebuild mode and projected to finish 9th in the Atlantic 10 conference. Next up, find Texas A&M at home at College Station against Liberty, in another game with blowout potential. Texas A&M looks primed in the preseason to make yet another visit to the NCAA Tournament this season, and tonight’s game against Liberty should be a nice opener for the Big 12 title contenders, and could see the 19.5 points spread knocked down this evening. Lastly, I like the St. John’s Red Storm over Lehigh, with a flock of talented young scorers ready to build on a solid 74-59 win over William and Mary on Monday. With St. John’s looking to take advantage of a less-than-stellar Lehigh defense, this game as well could see both the over/under busted through as well as the favorites (St. John’s) covering the points spread (13.5 points) at home tonight. With the remaining action for sportsbook betting today resting on NHL Hockey games across the U.S., look for a small handful of quality games to choose from which should make for an exciting day of betting on sports at the top sportsbook at Intertops.eu. Three great games including match-ups between the surging New York Rangers and Ottawa Senators, Philadelphia Flyers and Tampa Bay Lightning, and the Nashville Predators vs. Anaheim Ducks all look like solid options for online sports betting on the NHL. Don’t forget to check out a fun NCAA College Football match-up tonight as the Temple Owls faces the Miami (OH) RedHawks in midweek MAC Conference action, as throwing a wager on a little College Football during the week always makes the time fly by a little quicker towards the weekend. All-in-all, it’s a great day for sports and online sportsbook bets whether it’s on today’s games or for future sporting events, so find all these options and more at the Intertops.eu sportsbook, and as always thanks for checking in for reviews on the best sports betting sites, and updates in the exciting world of online sports betting. It’s certainly a much welcomed Friday for us online sports betting fans, especially as Major League Baseball kicks back into high gear for the weekend series all getting underway today, and plenty of options are available for future wagers as NCAA and NFL Football brings tons of excitement to online sportsbook betting. For Friday, it’s a full day of betting action at Sportsbetting.com (read the review of sportsbetting.com) so join me in diving into all the available betting lines for a couple of choice picks that hopefully earn us some spending money going into the weekend! Visiting the Sportsbetting.com website, you’ll quickly find that it allows its players to bet on normal everyday sports like baseball, soccer, tennis and golf, but also has a great arena for poker, horses and plenty casino games as well. Regardless of your betting types, Sportsbetting.com has a great selection for any sports fans or gambling preferences, so whenever I get to playing on this site, it generally is a few hours before my curiosity and/or wagering money has run dry! After just breaking even on sportsbook wagering last night on the 10 games in Major League Baseball, but coming up clutch on the points spread in NCAA Football as #LSU shutdown #25 MSU 19-6, I for one am looking to improve tonight in the Baseball category, especially with a choice selection of 15 games available for online sports betting, and with a number of great match-ups kicking off, you can expect to find at least a couple solid wagers that won’t have you guessing too hard at tonight. For example, take a look at all the pitching match-ups scheduled for tonight, including top billings like Josh Becket vs. James Shields as Tampa Bay and Boston duke it out for the AL Wild Card, and over in the National League Jaime Garcia faces Vance Worley as the St. Louis Cardinals visit the Philadelphia Phillies once again, with St. Louis desperate to pick up wins and continuing to surge in the last month of baseball play. Other critical games to check into include the San Francisco Giants at Colorado Rockies, with the Giants looking to extend their 5-game winning streak while still clinging to hope in the NL West pennant race, the Los Angeles Angels look like a good bet to win tonight with Dan Haren on the mound vs. Tommy Hunter and the Baltimore Orioles, and the Angels’ AL West foes the Texas Rangers take on the Seattle Mariners with hopes of holding on to their 3.5 game lead over Los Angeles in the pennant race there. Moving on to other available options for online sportsbook wagering on Friday, make sure to check out the betting lines for UFC Fight Night25 set for this Saturday, with a ton of options for wagering on the fights taking place beginning tomorrow at 1:00 PM Eastern Time. The Main Card features a battle of the two Jakes, as Jake Shields and Jake Ellenberger hit the octagon, Erik Koch shoots for a featherweight title spot if he can get past Ultimate Fighter 12 winner Jonathan Brookins, and Ultimate Fighter 11 winner Court McGee seeks to continue his 7-fight winning streak as he faces Dong-Yi Yang tomorrow, looking to return strong after a long 11 month absence. Also make sure to check into the online sports betting lines for the featured boxing event of the weekend, as Floyd Mayweather Jr. takes on WBC Welterweight champion Victor Ortiz, scheduled for Saturday night in Las Vegas, Nevada. With all this great action for betting on sports at any one of the top sports betting sites reviewed here, jump into the fun today and through the weekend, as there will definitely be more of the same great wagering opportunities ahead especially with tons of NCAA Football scheduled for tomorrow and NFL Football on Sunday. So check out our online sportsbook reviews, peruse some of the great online sports betting sites offered here, and place your bets today!